These Ping Pong Rules outline and the rules and regulations of the game of Ping Pong. Before starting a game of Ping-Pong it is worth remembering that whilst Ping-Pong is played in a relatively small area it does require a certain amount of physical exertion. Warming up and stretching is, therefore, essential to avoid potential injury. Also make sure there is adequate lighting and enough room around the table to move freely. Service is usually decided with a coin toss or with a player hiding the ball in one of his/her hands and asking his/her opponent to guess which hand hides the concealed ball. 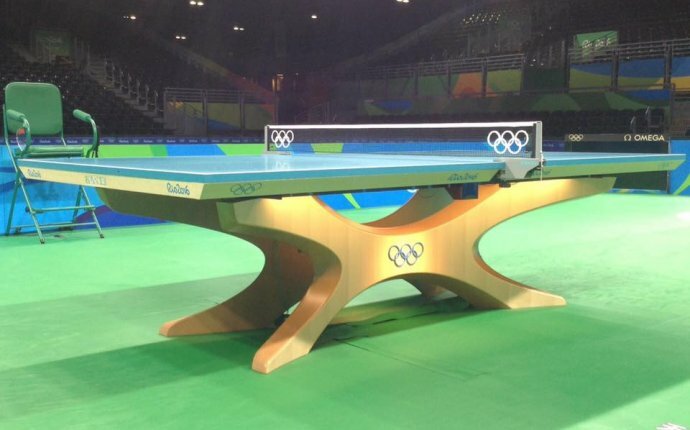 The ‘winner’ of each of either of these random decider is given the option of either serving first or asking his/her opponent to serve first and choosing which end of the table to play from. In game play, the player who is serving commences the point. Standing at his/her end of the table and holding the ball in one hand (above table height) and the bat in the other, the player must toss the ball vertically in the air (without spin and at least 16cm) before hitting the ball causing it to bounce once in his/her half of the table and again in his/her opponent’s half of the table. If the ball strikes the net and does not hit the opponent’s half of the table then a fault is called and the opponent is awarded a point. If, however, the ball strikes the net and goes onto hit the opponent’s side of the table then ‘let’ is called and the service must be retaken. A player may commit any number of lets without penalty or his/her opponent being awarded any points. If the service is ‘good’ then the opponent must return the ball before it bounces on his/her side of the table a second time.